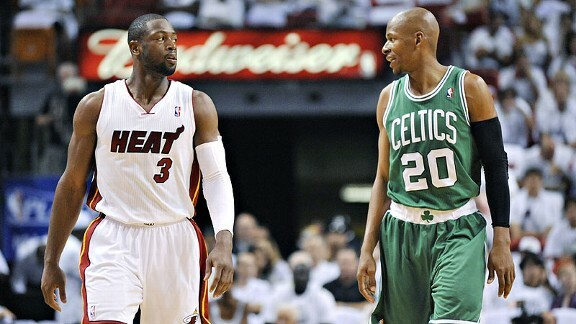 Ray Allen’s Advice to Dwyane Wade on addressing his injury plagued career: NUTRITION!!! This is more a nutrition post than a sports post, but sports sure helps make a point….. If you are a basketball fan you need no filling in, but for the others, the short version is…Lebron James leaves the Miami Heat, Dwyane Wade (age 32) stays in Miami, but his body has been so "beat up" over the last couple of years, most of us wonder if he will ever survive two or three more years in the NBA. 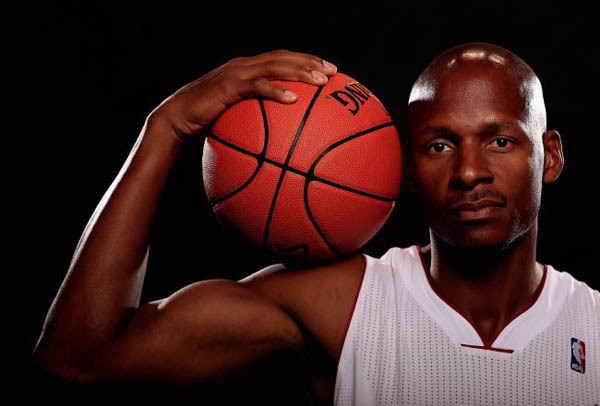 Apparently he wonders himself, and when asking teammate Ray Allen (age 38), his advice on how to extend his NBA career, Ray Allen's advice was simple…..NUTRITION!!!! 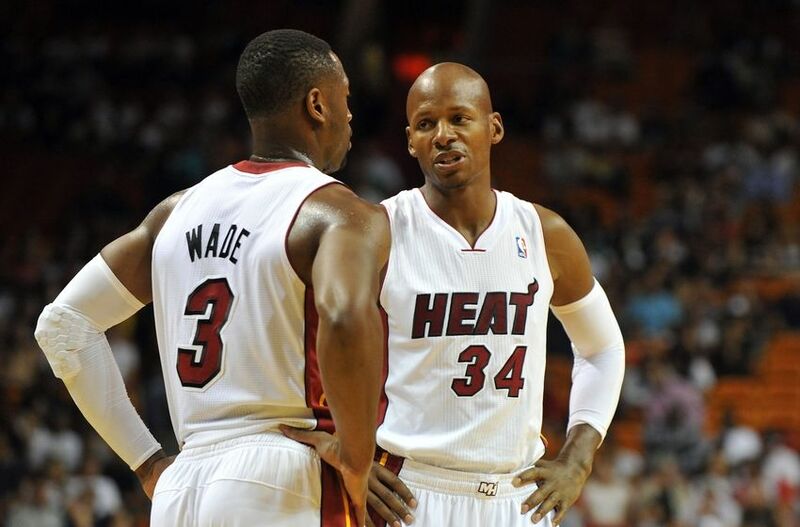 "I think guys are becoming more aware," said Allen, who began following a modified Paleolithic diet after the Heat won their second straight NBA title in June . "… When you start eating the salads and the proteins and fruits – in Whole Foods, I kill the fruit and vegetables section – you just feel so much fresher and cleaner." The Paleolithic diet — Paleo, for short — involves eating like our caveman ancestors did: lean meats, wild-caught fish, vegetables, nuts and seeds, some fruit, little starch and no sugar or processed foods. Its proponents call it the "anti-inflammatory diet" on the theory that avoiding processed carbs and sugars decreases inflammation in the body — the kind that causes joint pain and the kind that a growing number of medical authorities believe contributes to heart disease, obesity and diabetes. 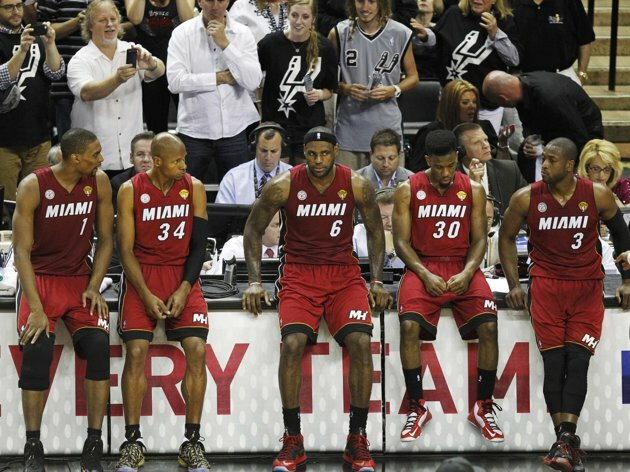 After the Heat beat the Spurs in the Finals [in 2013] – in large part due to Allen's clutch 3-pointer late in Game 6 — Allen felt depleted, achy and believed he'd become dependent on anti-inflammatory medication just to get onto the floor. 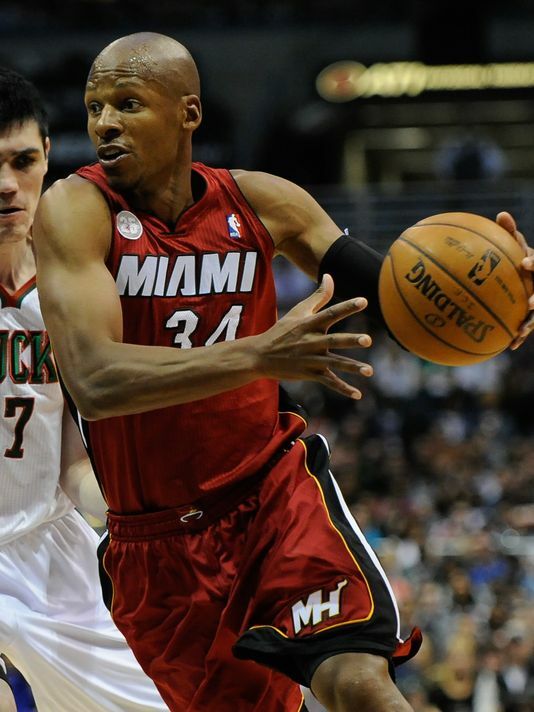 Then 37, the NBA's career 3-point leader had just completed his 17th season. A model of health, fitness and preparation, Allen felt his body finally rebelling against him. And he didn't like it one bit. 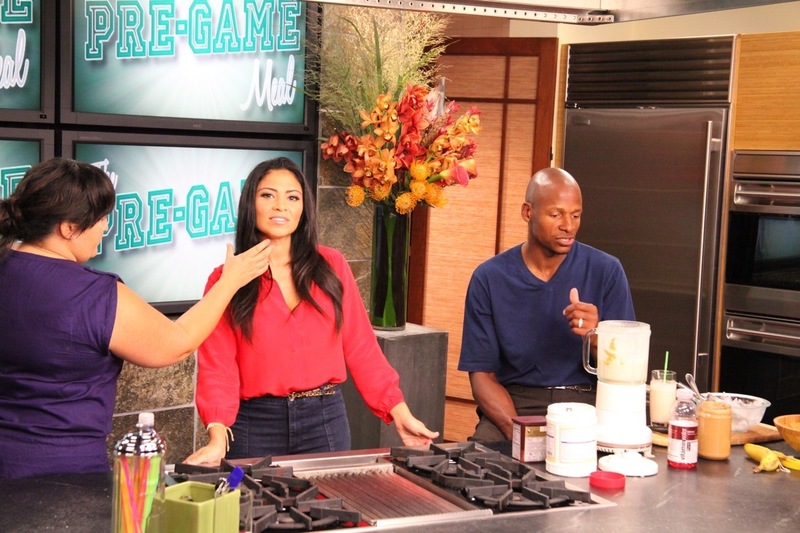 "My mentality was that I'm burning so much, I need the sugar and I need carbs," Allen said. "But toward the end of the year, I remember being on anti-inflammatories and my body always felt like I was hopped up on drugs just to decrease the inflammation." Allen's wife told him about the Paleo diet and its purported anti-inflammatory properties. He studied it, asked questions, and resolved to start it on July 1, but couldn't wait. Allen took the Paleo plunge on June 26, six days after the Heat closed out the Spurs in Game 7. "I cut everything out, and within three weeks I lost 10 pounds," Allen said. "I stuck with it all summer long and learned to eat even cleaner." Allen confronted his one dilemma with the program once training camp began. With his activity level ramped up — practices, weightlifting sessions, the endless shooting he does to hone his craft — he began to feel depleted. So he did something that even one of the world's top proponents of the Paleo diet acknowledges is OK for athletes with a high activity level: He increased his consumption of carbs. "That's absolutely what needs to be done," said Robb Wolf, a biochemist, author of the New York Times best-seller, "The Paleo Solution" and a student of Paleolithic nutrition expert Loren Cordain. "When you start looking at any type of high-level athlete, they need a lot of carbs to be able to function optimally – potatoes, some sweet potatoes, some white rice," Wolf said. "That's spot on to make this thing work." Wolf works most often with people who are sick and obese, and those with type II diabetes and/or other metabolic diseases are best served by a strict Paleo diet with very little starch and no dairy, he said. But professional athletes and members of the military are equally motivated to try the Paleo lifestyle for optimal health, and there's more than one way to do it. "If they do something that improves their recovery, they feel a little better, their cognition is a little better, their fine motor skills are maintained and they're able to train a little bit harder or a little more often," Wolf said. "They just don't get so beaten down." That was the motivation last season for Rose, the Bulls star who missed all of the 2012-13 season after surgery on a torn left ACL. Rose didn't go Paleo, per se, but he cut out most of the sugar and processed carbohydrates he'd been gorging himself on for most of his basketball career. "Sugar is one of the reasons that people don't recover the way that they were supposed to, and I had surgery," Rose said earlier this season. "So taking all that into consideration, I was just trying to put everything on my side, giving myself a chance to come back." Rose made it back, but only 10 games into a successful return from the ACL injury, he tore the meniscus in his other knee. He is out for the year again, though he hasn't ruled out a postseason comeback. Even at a young age, Rose had developed such a reputation as a sugar addict that a candy manufacturer sent him a free Skittles dispenser for his home. That should've been Rose's first clue that he had a problem. He's cut way back on sugar and limits his exposure to gluten – a protein present in grain products that Wolf and other Paleo advocates believe has inflammatory properties. Before his latest injury setback, Rose said he believed that paying closer attention to his diet would help him recover faster and have more energy during games. "I'm a candy head," Rose said. "Ever since I've been younger, I've been eating it. 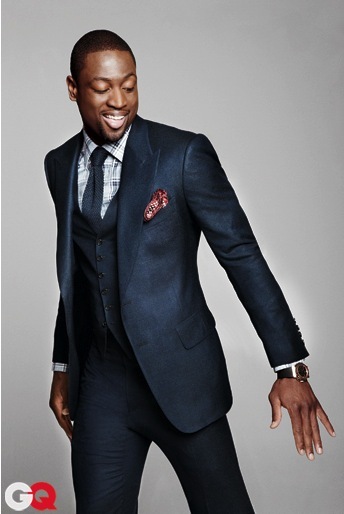 But for me to put my career first and be healthy while I'm out there, I had to put all that on hold." Griffin, the Clippers' high-flying All-Star, is more muscle head than candy head. Nutrition has always been a priority, as you can tell from his fast-twitch muscles and shredded physique. But last season, he was looking for something that would kick it up a notch. He found Paleo, or at least, a version of it. His Atlanta-based business manager, Lorne Clarke — who competes in CrossFit, a fast-growing workout sport in which Paleo eating is prevalent — got Griffin to join him for a 100-day Paleo challenge. Griffin did a modified version, incorporating some rice and other quality starches (sweet potatoes, occasional white potatoes) to fuel his activity level. He's stuck with it ever since. 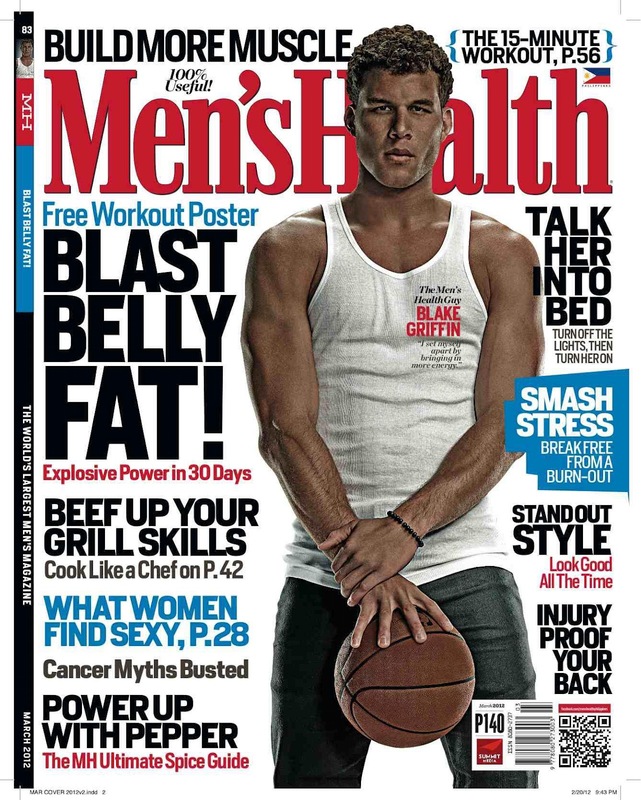 "Nutrition has been huge for me," Griffin said. "I don't exactly do Paleo, but I still don't eat gluten." When Griffin and Chris Kaman were teammates before the 2011 lockout, they worked with LA nutritionist Meg Mangano to focus their eating habits for performance. Kaman, now a Laker, has since become one of the biggest proponents of a low-carb, high-fat, grass-fed nutritional program that his new team implemented last season. Mangano has since been hired by the Clippers, who this season offered players the chance to take blood tests to detect food sensitivities and allergies. Griffin said about half the team took the test, and several players — including himself –learned they have some level of gluten sensitivity. Chris Paul was crestfallen to learn he's allergic to eggs, Griffin said. "She does all our meals at the hotel, on the plane and in the locker room," Griffin said. "Every time we have a meal, there's gluten-free options. Everybody's taking care of themselves. They make it really easy." On a recent road trip to Houston, the postgame buffet featured a giant tray of gluten-free pasta and ground turkey, plus plenty of vegetables and fruit. "Some guys do the buffet thing," Griffin said. "You have an option to have a separate plate made up for you, but I like to make my own plate. There's options for everything." It's easier, of course, when you're 24 and in the prime of your athletic life. But when the 2011 lockout ended, Luis Scola, then with the Rockets, had just turned 30, was recovering from left knee surgery and was having a terrible time of it. 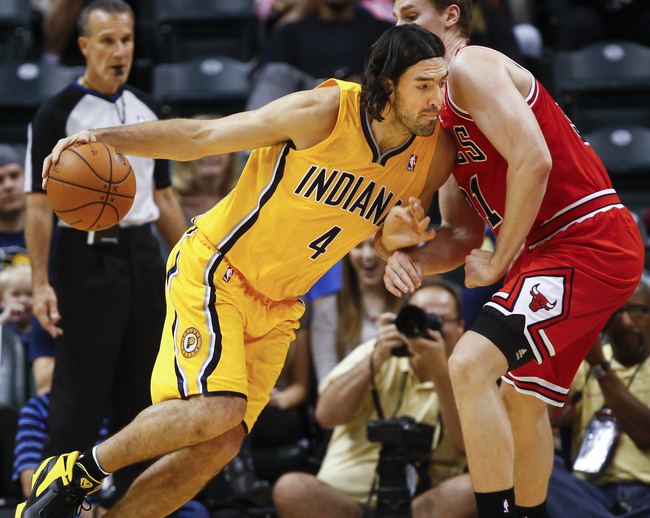 "I was in pain and I wasn't getting better, so I was kind of desperate," said Scola, now with the Pacers. "So I was trying to figure out what I could do to increase my chances to recover and come back well." Scola was facing the double-whammy of knee rehab and the lockout, with no organized workouts or competitive basketball for months. He ballooned to 255 pounds and 12 percent body fat – well out of the norm for him. One of his coaches mentioned the anti-inflammatory diet, and Scola started doing his homework. "At first I didn't really believe it, but I said, 'Why not? I'm going to try something,'" he said. "I started noticing my body changing and my energy changing." Scola adopted a strict Paleo diet combined with the proportioned Zone Diet popularized by Dr. Barry Sears. In the Zone, you consume a specified number of "blocks" of food groups each day to ensure portion control and the correct proportion of macronutrients. Paleo revives Luis Scola's career!!! His career reinvigorated at age 33 in Indiana with the East-leading Pacers, Scola now weighs 235 and hovers around 8 percent body fat. Fellow Argentines Manu Ginobili of the Spurs and Pablo Prigioni of the Knicks also follow the Paleo diet, he said. 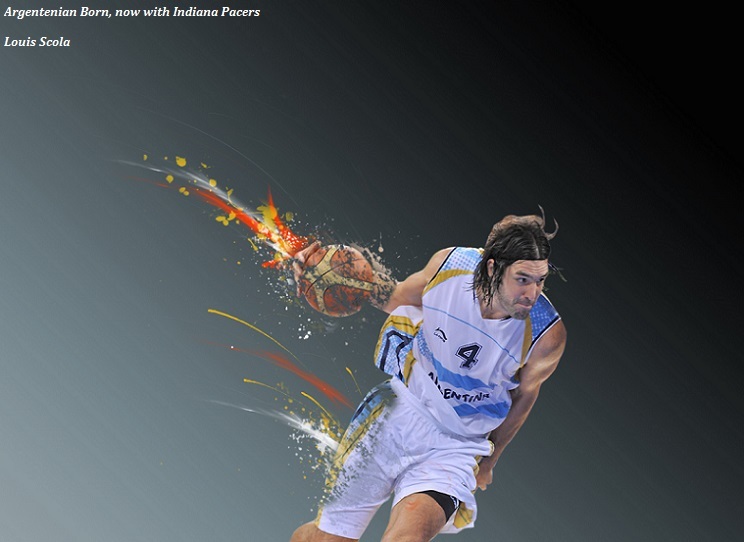 "My carbohydrate sources are fruit and vegetables," Scola said. "That's 90 percent or 80 percent of my carbohydrates." And since so many people in sports have been preaching the high-carb diet to athletes for so long – remember carbo-loading? – Scola doesn't want any trouble. "Under no circumstance am I a doctor," Scola said. "I don't want to challenge any doctor's opinion. I don't want people reading this interview and taking my word for it. I just found a diet and I tried it and it worked so well and I stuck with it. That's as much as I can tell you." Scola also is sensitive about alienating sponsors whose sugary products he doesn't eat or drink anymore. "There's a lot of people who don't think this is the right thing to do, and I'm OK with those people," Scola said. "It's just my experience. I feel so much better and my energy is so much higher – and not just my energy level, my mood, my clear head, I sleep better, my body fat dropped, my weight dropped. I feel stronger and looser. It's all different changes." Like Griffin, Allen's take on Paleo includes an extra dose of carbs; Allen sometimes eats pancakes or waffles, but only in the morning, so he has all day to burn them off. He doesn't eat red meat or pork, an idea that Paleo zealots might have a hard time digesting. But Allen's father is in remission from colon cancer, and he's cautious about the potential risks posed by red meat. He doesn't eat pork because pigs, he said, "eat anything under the sun and a lot of slop." Wolf doesn't necessarily agree, but said as long as athletes are getting enough animal protein, the source "really doesn't matter," he said. "If people have either moral or religious issues about consuming pork or red meat or whatever, they can do that with chicken and fish and a variety of other protein sources," Wolf said. In the Heat locker room, Allen isn't the only strict eater. James Jones, an 11-year veteran looking to extend his career at age 33, believes eating clean will give him the edge he needs to stay in the league. "We always compare ourselves to fine-tuned automobiles," Jones said. "You take premium food, you tune them up regularly, you wax them down, you take care of them." When you look at a plate of food Jones has prepared, it'll have the same qualities as one prepared by LeBron James: It'll be simple and colorful. 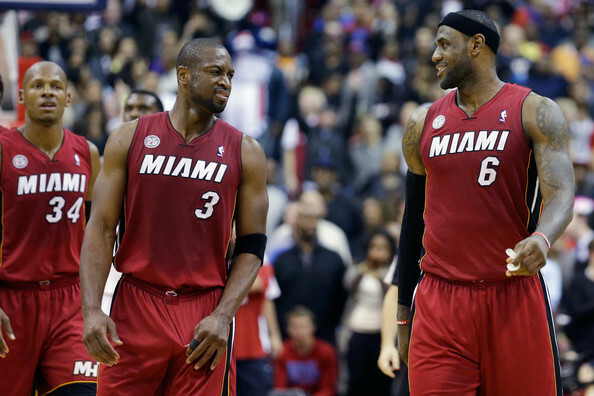 "He's a guy that does it and he's been doing it for a long time," Jones said of LeBron. "He got it early. You look at him, he eats right and he doesn't drink." For Wolf, the Paleo movement infiltrating mainstream professional sports is just the latest progression for a labor of love that began in the late 1990s as a lonely exercise in futility. "When I first started tinkering with this in 1998, there were probably fewer than 1,000 people on the planet who had any idea what a Paleo diet was – and they were researchers, doctors and clinicians," he said. Around 2009, Wolf said Google search volume for the Paleo diet was doubling every 18 months. Now, it's doubling every three or four weeks – but it's still a fringe lifestyle. I feel so much better that I'm never going back…. "For it to be a mainstream phenomenon, you need about 15 percent of the population to be doing it," Wolf said. "My back-of-the-envelope estimate is that we have between 1 and 5 percent of the population of the United States who are aware of or are doing something that looks like a Paleo diet." And some of those are NBA players who wouldn't dream of stuffing themselves with hot dogs or pizza before games — and wouldn't dream of going back to their old eating habits. "I feel so much better that I'm never coming back," Scola said. "You can't go back. That's what I tell the guys that are trying it. … If I eat the things that I used to eat before, that's when I start feeling really bad. So once you start doing it and you do it for a long time, you can't stop. Because if you go back, you feel it." 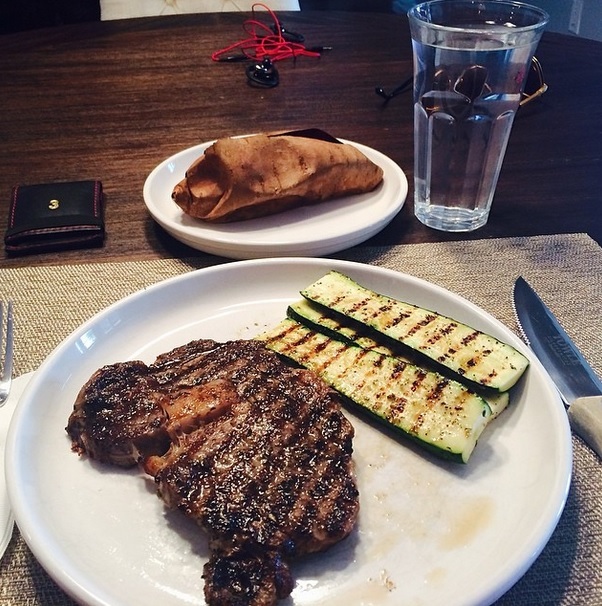 below…from Dwyane Wade's Instogram Page, he titled it……… "Day 1 of a new clallenge"
Interesting to see what athletes are doing (or not doing) about their nutrition. I can't help but think that LeBron James' problems with cramps is caused by a magnesium deficiency which could be easily remedied. 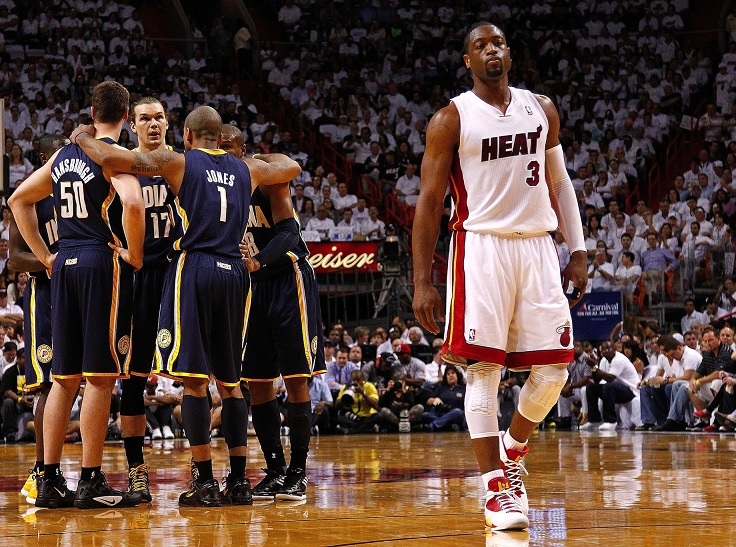 While nutrition is important, Wade's limitations are more about his knees than anything. Nutrition can't help those knees. 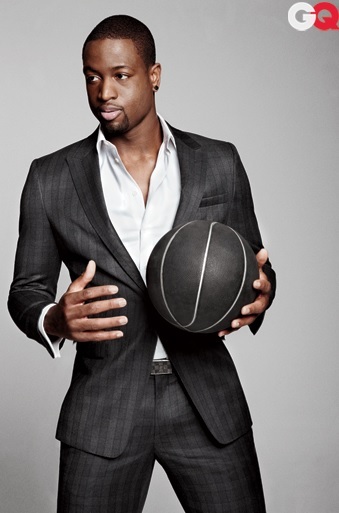 Small issue with the article though, it's spelt Dwyane Wade. I do think nutrition can help the knees because nutrition facilitate tissue and cell repair on the atomic level. But I’m just saying “I think” based upon my research. I never claim to be the expert. Though I’m personally convinced of the point. I screwed up the spelling, will fix.